40 Days – one week in…. I start this journey, these forty days. Forty days of preparation, forty days of making room. An intentional clearing of space in my home and my heart for more of my Savior. The 40 bags in 40 days is not a way of salvation, it is a way of working out that salvation, and one is not more or less righteous as a person for having done it or not. But for me, even in this first week, I see the benefit, I feel the peace. Forced to pace myself and not tear my house apart in one day, I pray through each area. Lord, what would you have me work on today? Lord, what should I keep? What would benefit someone else? What is keeping me or someone in my family from knowing you more deeply? What is trash? Show me the way, Lord, and I will walk in it. A theoretically simple task becomes spiritual. Something I do regularly anyway (cleaning out and organizing) becomes a pathway to communion with Him. …. (which arrived conveniently on Ash Wednesday) have together led me deeper in to relationship with Him. 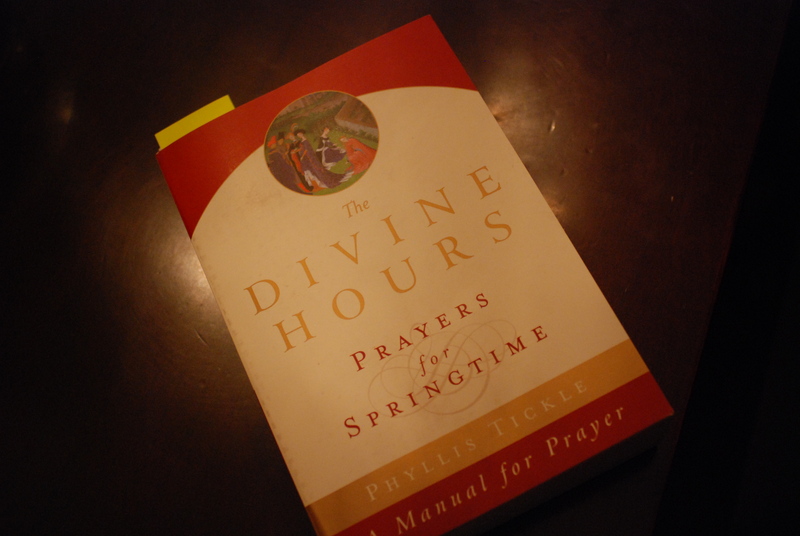 The structured prayers, said four times a day in my world, provide a back drop to an on-going conversation that had become stale. Praying back God’s word, conveniently written out for me, has it ever on my mind and heart. Eight days in, my house is becoming less cluttered with stuff, my heart is becoming more full of His presence. I see the beauty of preparing for Easter, a long waiting for His salvation, and I see myself, once again, longing for ever more of Him. He is so good to me.